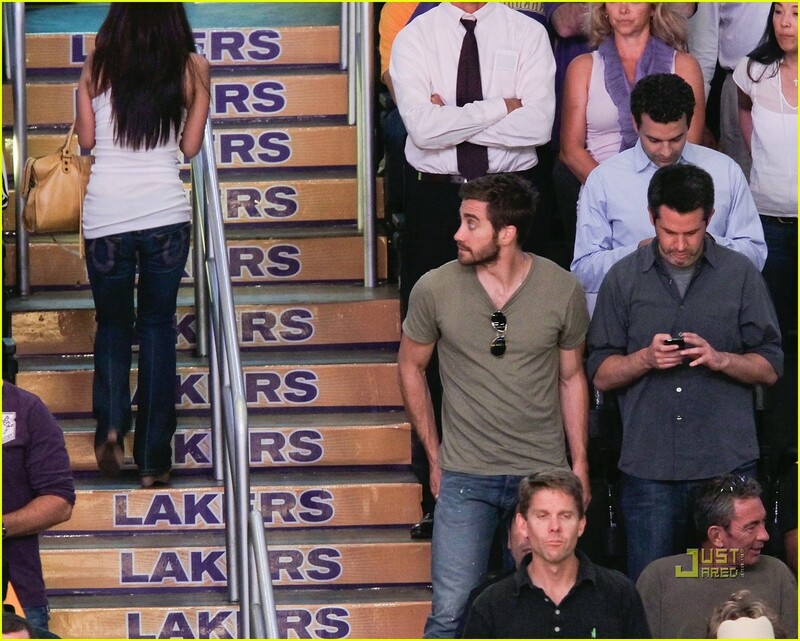 Jake Gyllenhaal is my main man! 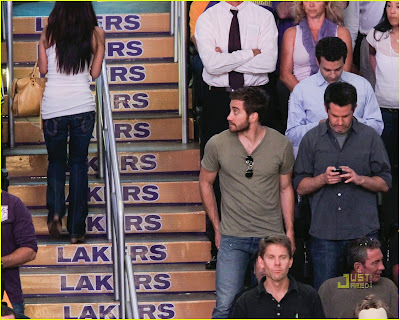 While at the Staples Center watching the Lakers beat the Celtics for the Championship Title Thursday, Gyllenhaal caught the !ss of some fine female walking up the stairs (said via JustJared, June 18, Los Angeles). By the way, the Lakers beat the Celtics: 83-79.